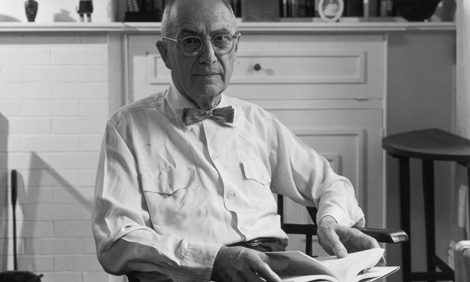 Working as a family doctor in Rutherford, New Jersey, William Carlos Williams often wrote about people he knew and things he experienced in his community. “The Red Wheelbarrow” by the doctor-poet William Carlos Williams is one of the best-known and best-loved poems in American literature. (You can read it here at Poets.org.) Williams himself liked the poem more than any of his others, saying it was “quite perfect.” At the time that it was published, it broke a lot of rules of how people thought poetry should be written. It inspired many other poets to express themselves in new ways. Since the poem was first published in 1923, many people had wondered about the inspiration behind it. Why did Williams think that the “red wheelbarrow” and “white chickens” were important things to write about? Williams himself provided some clues along the way. He once mentioned that the wheelbarrow and chickens belonged to an African American man he admired named Marshall. Marshall was a resident of Rutherford, New Jersey, where Williams had lived and worked as a family doctor. Until very recently, however, Marshall’s identity remained a mystery. Last year, William Logan, an English professor at the University of Florida, worked with Rod Leith, Rutherford’s borough historian, to track down the mystery man’s identity. Using census information, church documents, and town maps, they found records of a man who fit the description. They discovered that his full name was Thaddeus Lloyd Marshall, Sr., and that he had lived about 10 blocks away from Williams. One important clue was found on an old fire insurance map. It showed that Marshall had a large chicken coop in his backyard. Logan and Leith also discovered that Marshall worked as a street vendor, selling eggs, fruits, and vegetables. He may have used the red wheelbarrow in his job. On July 18 of this year, Marshall’s descendants took part in a memorial service at his gravesite in East Ridgelawn Cemetery in Clifton, New Jersey. Marshall had been laid to rest there without a grave marker in 1930. A community fundraiser was held earlier this year to help purchase a gravestone. The inscription on it reads, “He was the inspiration for the William Carlos Williams Poem ‘The Red Wheelbarrow.’” The family also dedicated a wreath of red and white flowers—red carnations representing the red wheelbarrow and white daisies representing the white chickens. They are proud that their ancestor inspired such an important work of literature. To further honor Thaddeus Marshall’s literary legacy, Leith and members of the Marshall family plan to start a scholarship in his name. The scholarship will be awarded to a student at Rutherford High School who wants to study literature in college. Leith also plans on including the Marshall house in his William Carlos Williams historic tour and is working to have it added to Rutherford’s list of protected historic sites. Who was the inspiration behind "The Red Wheelbarrow" poem? How did Thaddeus Marshall's descendants honor him on July 18, 2015? They took part in a memorial service for him. They published a book of poetry dedicated to him. They named a street in Rutherford after him. They held a picnic at the house he once lived in.